Home Arts & Games News trending "Pennsylvania" gaming expansion should not impact Atlantic City casinos!! "Pennsylvania" gaming expansion should not impact Atlantic City casinos!! ATLANTIC CITY — The resort's gaming industry, which has been weakened by out of state competition during the last decade, should be spared during the next round of casino gaming expansion in Pennsylvania. 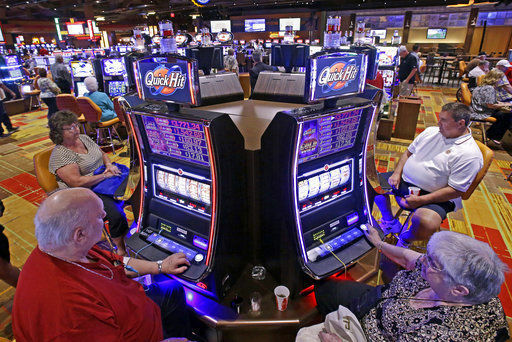 As part of the sweeping gaming expansion, casino-style gambling would be allowed at Pennsylvania truck stops, online portals and airports, and up to 10 new mini-casinos would be permitted to open in a state that already has a dozen casinos operating. But high tax rates and restrictions on where new the new mini-casinos could be built might lessen the impact the neighboring expansion could have on the city's gaming market. Colin Mansfield, a director at Fitch Ratings and a lead analyst in the gaming, said the fact that Philadelphia suburbs are excluded from having the mini-casinos will benefit Atlantic City's gaming market. "Honestly it’s hard to lose the same revenue twice," Mansfield said. Pennsylvania lawmakers hope to squeeze an additional $200 million a year or more from casino license fees and taxes on higher gambling losses. New gambling cash would also flow to decade-old property tax rebates and local government treasuries, institutions and development projects, often controlled by lawmakers. The high operator fees and tax rate will scary away some casino owners from getting involved in online gaming, said Steve Norton, who runs a consulting company, Norton Management LLC. "Table game tax rates are very similar, but when considering that 90 percent of New Jersey's online gaming is from slots, I'm not sure how many Pennsylvania online operators will be interested in applying for a license," Norton said. A recent report by Moody's credit rating agency raised questions about the impact that the expansion will have on the region. 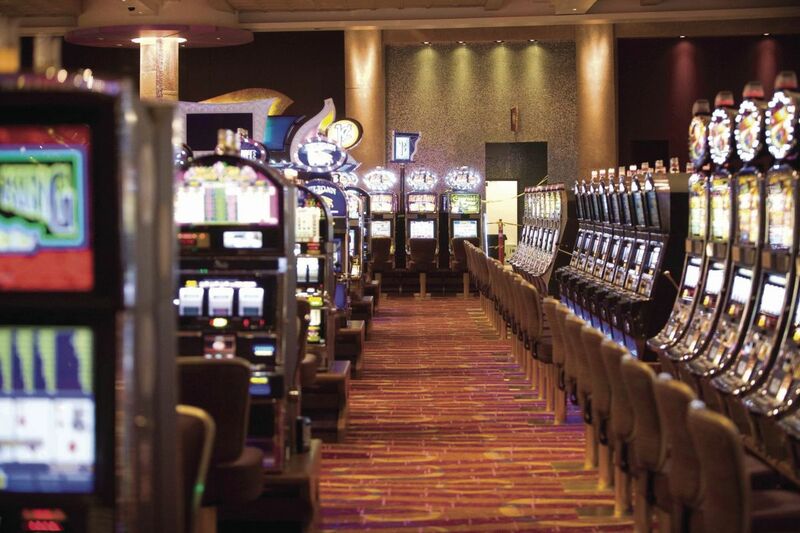 The report states that expansions could take revenue from existing casino in Pennsylvania. The report also takes issue with the 50 percent tax rate that was placed on internet gaming. Despite concerns over the tax rate, the introduction of internet gaming in Pennsylvania could benefit online gamblers in New Jersey, said Steve Ruddock, PlayNJ.com lead analyst. Pennsylvania is now the fourth state to legalize internet gaming. "After Pennsylvania's online casinos go live, a total of 26 million U.S. residents will have access to legal, regulated online gaming sites," Ruddock said. "That rising tide will positively affect every state where online gambling is legal." New Jersey, Delaware, and Nevada have already reached an agreement to share player pools for online poker and casino games, and now Pennsylvania could join that growing network. That would be a particular boom for online poker, vastly growing the pool of games available to players in participating states. "The interstate compact between Nevada, Delaware, and New Jersey will serve to stabilize and grow the online poker market in all three states," Ruddock said. "Throw Pennsylvania into the mix and the U.S. online poker market is poised to double in size by the end of 2018." ATLANTIC CITY — The resort's gaming industry, which has been weakened by out of state competition during the last decade, should be spared during the next round of casino gaming expansion in Pennsylvania. As part of the sweeping gaming expansion, casino-style gambling would be allowed at Pennsylvania truck stops, online portals and airports, and up to 10 new mini-casinos would be permitted to open in a state that already has a dozen casinos operating. But high tax rates and restrictions on where new the new mini-casinos could be built might lessen the impact the neighboring expansion could have on the city's gaming market. Colin Mansfield, a director at Fitch Ratings and a lead analyst in the gaming, said the fact that Philadelphia suburbs are excluded from having the mini-casinos will benefit Atlantic City's gaming market. "Honestly it’s hard to lose the same revenue twice," Mansfield said. Pennsylvania lawmakers hope to squeeze an additional $200 million a year or more from casino license fees and taxes on higher gambling losses. New gambling cash would also flow to decade-old property tax rebates and local government treasuries, institutions and development projects, often controlled by lawmakers. The high operator fees and tax rate will scary away some casino owners from getting involved in online gaming, said Steve Norton, who runs a consulting company, Norton Management LLC. "Table game tax rates are very similar, but when considering that 90 percent of New Jersey's online gaming is from slots, I'm not sure how many Pennsylvania online operators will be interested in applying for a license," Norton said. A recent report by Moody's credit rating agency raised questions about the impact that the expansion will have on the region. The report states that expansions could take revenue from existing casino in Pennsylvania. The report also takes issue with the 50 percent tax rate that was placed on internet gaming. Despite concerns over the tax rate, the introduction of internet gaming in Pennsylvania could benefit online gamblers in New Jersey, said Steve Ruddock, PlayNJ.com lead analyst. Pennsylvania is now the fourth state to legalize internet gaming. "After Pennsylvania's online casinos go live, a total of 26 million U.S. residents will have access to legal, regulated online gaming sites," Ruddock said. "That rising tide will positively affect every state where online gambling is legal." New Jersey, Delaware, and Nevada have already reached an agreement to share player pools for online poker and casino games, and now Pennsylvania could join that growing network. That would be a particular boom for online poker, vastly growing the pool of games available to players in participating states. "The interstate compact between Nevada, Delaware, and New Jersey will serve to stabilize and grow the online poker market in all three states," Ruddock said. "Throw Pennsylvania into the mix and the U.S. online poker market is poised to double in size by the end of 2018."